Set0020 Kit for assembly of 2 sections Soviet Electrical Locomotive VL 1 11700.00руб. Set0024 Kit for assembly of Soviet Diesel Locomotive TE 114 14700.00руб. Set0017 Kit for assembly of Soviet Diesel Locomotive TE 3 12400.00руб. Set0024 Kit for assembly of Soviet Diesel Locomotive TE114 13500.00руб. Set0019 Kit for assembly of Soviet Diesel Locomotive TGM 4 3 7600.00руб. Set0011 Kit for assembly of Soviet Electrical Locomotive CS2T 8900.00руб. Set0025 Kit for assembly of Soviet Electrical Locomotive EP2K 15000.00руб. Set0015 Kit for assembly of Soviet Electrical Locomotive VL 22 6500.00руб. Set0018 Kit for assembly of Soviet Electrical Locomotive VL 23 7200.00руб. Set0022 Kit for assembly of Soviet Steam Locomotive 'EM' 11200.00руб. Set0023 Kit for assembly of Soviet Steam Locomotive 'NV' 14000.00руб. Set0012 Kit for assembly of Soviet suburban train SR3 10400.00руб. 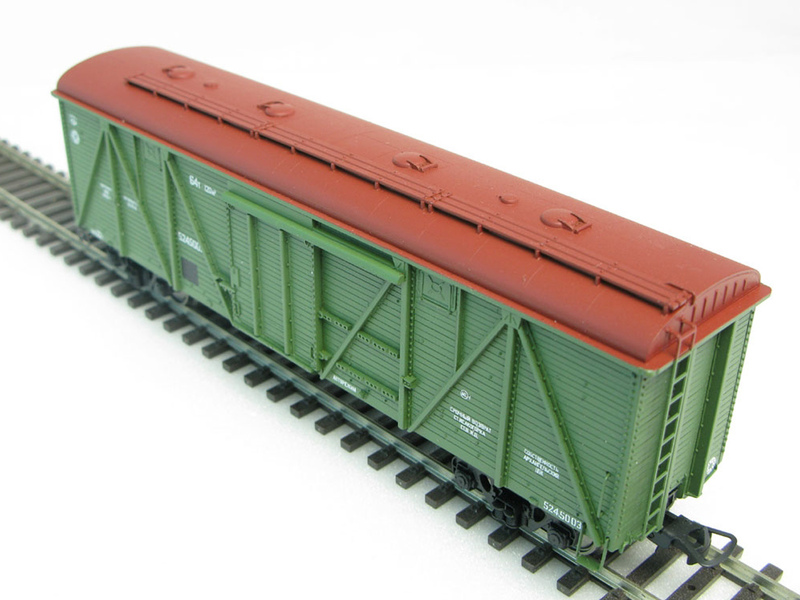 Set0019 Kit for assembly of the Soviet rail trolley DGKU type 9100.00руб. Set008 Kit for assembly of Underground Subway Wagons 19900.00руб. Kit_AC_1 Kit for assembly USSR Railways motrice AC 1A 4900.00руб. Loco039 RUSSIAN HO Model Diesel Locomotive CME 3 16000.00руб. Loco019_M RUSSIAN HO Model Diesel Locomotive TE 3 25000.00руб. Loco045 RUSSIAN HO Model Diesel train DR1P 24200.00руб. Loco046 RUSSIAN HO Model Diesel train DR1P middle coach 12100.00руб. Loco047 RUSSIAN HO Model Diesel train DR1P second coach 13100.00руб.